Are you having difficulties with your relationship with your family or romantic partner? Are you facing difficulties at work? When stress or a difficult situation is impacting your ability to function, it is time to seek help. If you are feeling hopeless or that you are having setbacks in your life, therapy can help! There are two types of stress, positive and negative. While positive stress can be imbibed with meaning, negative stress can drain us and spur us to get help. Stress affects us all in different ways. We create positive stress by making a change: organizing a party or life event, starting a new job, or moving to a new location. 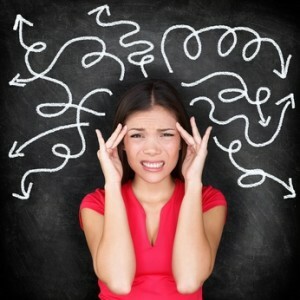 Because our choices create the stress that we experience, these stresses can be seen as positive. Though there are stresses in starting a new job, moving house, or planning a wedding or family event, the stress we experience is a positive stress that we choose for ourselves. Making the choice to bring meaningful, though stressful, events into our lives, gives us strength and reinforces our constant movement towards meaning. We will not shy away from pleasurable, creative activities because they may be stressful. Stress gives us the adrenaline to be able to complete those activities – the ones we enjoy. Even if a specific activity may be unpleasant, if it is seen in the view of an ultimate positive goal, it becomes tolerable. Unchangeable negative stress is the type of stress that we often need help to withstand. Negative stress is the result of external or internal factors beyond our control. Negative stress is created by anxiety, illness, unhealthy relationships, difficult work or family situations, natural phenomena, and traumatic events. Although stress is a natural reaction, and everyone experiences stress, when stress causes you suffering it’s time to reach out for help. When coping with stress alone becomes overwhelming, therapy can help. When you suffer from a difficult life situation, therapy can help you manage with stress, thrive and move forward with your life in a meaningful way. Therapy can help you feel better about yourself as you learn to cope with stress. Allan provides goal oriented therapy whose goal is for you to graduate therapy and live a less stressed life. Therapy can help you to explore your past and find the meaning in your life. Once you achieve a sense of direction, it will be easier to cope with stress and get through the day. Just as an athlete suffers through hours of training in order to be fit to compete, re-framing your perspective can change the way you perceive stress and lessen the way stress affects you. Therapy can transform the stress in your life from a weakness to a strength. In therapy, Allan will help you work through the causes of stress in your life, and clarify the direction you want to take. Allan can help you to resolve the symptoms of stress by changing the way you see stress from an obstacle to stepping stones to your goals. Break free of the weight of your stress and get support in therapy with Allan. Allan is available for both online counseling appointments as well as face-to-face meetings. Call today or just fill out the form and click Send.